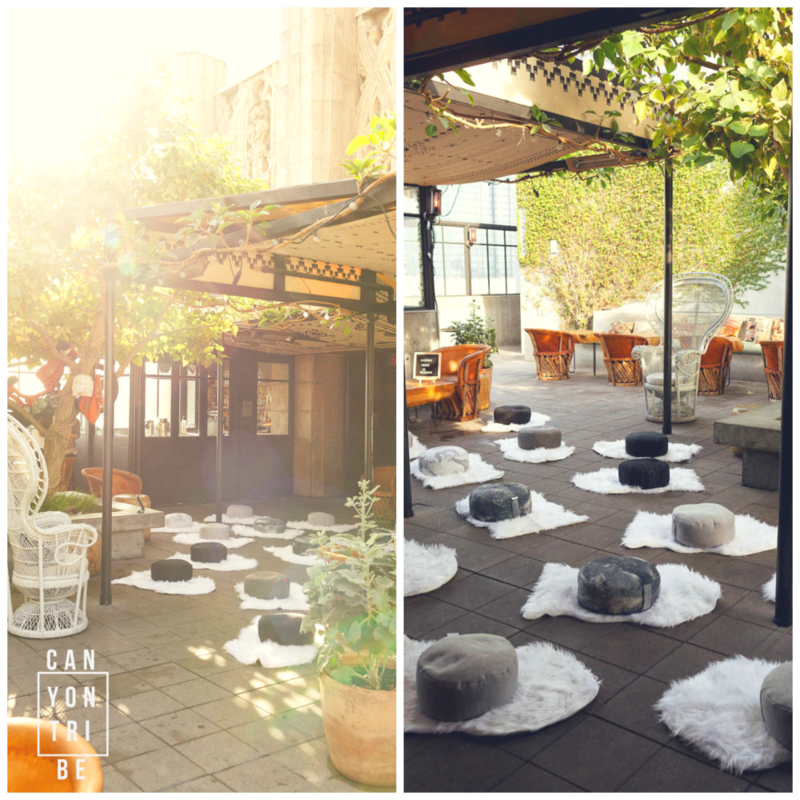 Join us Upstairs at the Ace Hotel for an open air meditation session led by Lulu Biazus. Lulu Biazus has been sharing soundbaths since 2015, with a group she co-founded in Los Angeles called Forestkind.She is a graduate of InsightLA’s Mindfulness Facilitator Training program and currently leads mindfulness meditation under her own practice, Little Mountain, which focuses on mindfulness, sound and art. After over a decade of working long stressful hours as a fashion art director and designer, she deepened her practice and became interested in bringing together mindfulness and creativity. She is currently involved with the Prison + Yoga Meditation program, which shares mindfulness to the incarcerated population of Southern California. She has provided workshops at various places, including the LA Design Festival, Poketo, Mercado Sagrado, Art Basel Miami, Noh Wave, The Fullest, Workspace Oasis, and Show & Tell. She is constantly inspired by the personal growth she has witnessed in those touched by this work, and has the intention to continue sharing peace and compassion, even in the most challenging places.